Is CBS’s Streaming Service The Beginning of The End For Cable? Subscribers will be able to stream live CBS content online in 14 selected markets -including Philadelphia. CBS recently announced that it will begin streaming its programming live online via a subscription service in selected markets. The move is certainly a victory for cable-cutters –those who eschew cable service in favor of viewing content online- but according to Drexel television industry experts, it might also be the first thread that starts the unraveling of cable’s content bundles. Unbundling, sometimes known as ‘a la carte,’ means that you don’t have to buy a full package of channels as you would with a typical cable/satellite subscription. Right now cable packages, or bundles, its content -giving consumers hundreds of channels to choose from. The issue is, many people don’t want to pay for channels that they don’t watch. There is some speculation that this move by CBS is the first step toward cable companies unbundling their content and letting consumers pick which channels they want. This means that one day you might not have to pay for 200 channels if you only want to watch a dozen. This infographic gives you an idea of how much it costs for each channel to be included in your cable service –which is determined by the contracts the content providers (like ESPN, AMC and USA) have negotiated with the cable company. To help understand the dynamics that this announcement has set into motion, industry experts Lawrence Epstein, a teaching professor and interim head of the Arts & Entertainment Enterprise Department, and Philip Salas an assistant teaching professor in the Cinema & TV department have agreed to break down some of the issues at play for the Drexel News blog. What does CBS’s announcement mean for cable customers? Epstein: The CBS announcement is unlikely to change anyone’s TV delivery choices…but as this action spreads to other cable providers, it’s all good for cable customers. More choices, more price competition, and more flexibility will all benefit the customer. Also, programmers will, if they so choose, be able to offer flexible business models. This means they could offer a basic, ad-supported version of the channel, or a premium version with fewer commercials or even an on-demand option. What does this mean for cord cutters? Salas: For cord cutters in the 14 owned and operated markets where the CBS streaming service is being offered, it means that they can pay to watch the local CBS station’s live stream, local news, primetime (but they can actually watch for free already if they can get good reception with a digital, over-the-air antenna). For cord cutters in the other markets, they can watch only CBS primetime but not their affiliate’s live stream. What does it mean for cable companies? Epstein: Short answer….cable TV will get less expensive and internet service will get more expensive. It’s not unlike what has happened in the wireless market; the cost of talking on your phone has gone down (remember $1 per minute?) and the cost of data plans has gone way up. I don’t think that cable/satellite will ever completely unbundle, but they are likely to offer smaller packages of channels. Remember that part of the monthly charge you pay is so the company can recover the cost of the box(es) in your home, so that will always be part of the cost of service. I expect that something close to ‘a la carte’ will ultimately be available through web streaming. That may end up being cheaper for the consumer, who will only choose the channels they want as a web package, without having an equipment fee embedded in the price. Why is the streaming service only being offered in these 14 cities? Salas: Because this is where CBS owns and operates stations -they are the largest markets. In the other almost 200 markets in the US, the stations are owned by media companies, newspapers, individuals or investors and they sign a distribution agreement with CBS that provides programming. So CBS would have to negotiate agreements in those markets if it wanted to offer streaming content there. In this 14-market model, there are no issues regarding ownership of the customer. What’s next?…who will be the next to roll out a streaming service? Epstein: I expect to see the beginning of a small amount of unbundling by the cable/satellite operators, price increases for high speed internet; efforts by cable operators to offer more network shows On Demand; and basic networks offering to reduce their license fees charged to cable/satellite operators in return for being kept on basic cable. Much of what will happen will also be affected by the NFL. They tightly control distribution and currently have deals with the broadcast networks, cable/satellite channels (ESPN, NFL Network), and satellite (Sunday Ticket on DirecTV). How they decide to respond to streaming TV will certainly impact cable/satellite providers…because of the formidable audience that comes along with them. Epstein: The companies that have to be concerned are DirecTV and DISH. Internet service via satellite is not very competitive in terms of speed, so it is not clear how they will compete in the home, unless they merge with wireless companies or cable providers (the latter option being unlikely, as the Justice Department has previously opposed such a move). The emergence of smaller basic cable packages will be problematic for many current channels who only survive because they are part of basic cable like IFC, Style Network and the Hallmark Channel. Once consumers can pick packages that exclude channels they don’t like, some channels will not be sustainable. Salas: I think independently owned stations in smaller markets are the most vulnerable to the new ecosystem, as CBS provides much of their programming. 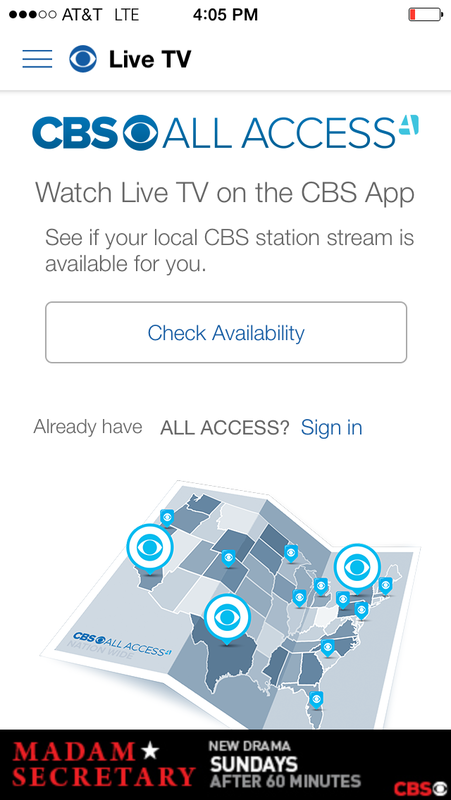 If CBS can find alternate delivery systems -like the Internet- they will be less dependent on local affiliates. FOX actually threatened to take its broadcast channel direct to cable and around affiliates if Aereo – the now nearly defunct streaming service- had won its Supreme Court case allowing people to stream all television content online. Epstein: The demise of cable is unlikely -even 20 years down the road. Salas: I think cable companies have been planning for this. There are many in the cable industry who believe that in 10 years they will not provide video packages, only Internet access.